You can't push the frontier of science if you leave all the ethicists behind. In case you missed the controversy, scientists recently claimed to have used CRISPR to edit the genome of a human embryo that was later brought to term. Specifically, they knocked out a gene involved in HIV transmission to boost resistance to the disease. The researchers behind the medical first were Jiankui He of China’s Southern University of Science and Technology and his former graduate advisor, Rice University physicist Michael Deem. The duo implanted the genetically-altered embryos back into the women who provided them, and one resulted in a successful birth — twin girls Lulu and Nana became the first people to be born with a clinically-altered genome. He justified his highly controversial experiment by publishing his own list of “Ethical Principles of Therapeutic Assisted Reproductive Technology” — but the scientific community at large isn’t buying it. By conducting these experiments, which resulted in the first-ever birth of humans carrying partially-altered genomes, He and Deem violated several voluntary accords among genetics researchers. The MIT Technology Review reported that He is under investigation by the Chinese government, and that his university condemned his work. Deem is also under formal investigation by Rice University, as human gene editing is banned in the U.S. He was scheduled to speak at Second International Summit on Human Genome Editing the day after news of his experiments broke. The event’s organizers published a weak statement in the National Academies of Sciences’ news division, essentially listing the voluntary conventions that He violated and saying that it was not yet clear whether or not He’s research “conformed with the guidance” of scientific consensus. Others, including two of the people who developed CRISPR in the first place, are taking a firmer stance against He and Deem’s research. One of them, Feng Zhang from MIT, called for an official moratorium on human CRISPR experimentation. Afterwards, CRISPR co-inventor Jennifer Doudna of UC Berkeley urged skepticism over the fact that He’s research has not been peer reviewed or published in an academic journal, while also arguing that CRISPR could be a powerful clinical tool when used responsibly. Many other scientists criticized He and Deem for operating without proper transparency, oversight, and review. 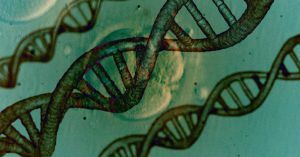 Many, Quartz reported, argued that the risks of editing a human’s genome far outweigh any potential benefits. Famed geneticist George Church told The Associated Press that the ends of preventing HIV infections justify the means. But Church’s support aside, the vast majority of genetic researchers and clinicians seem to agree that we are absolutely not ready to tinker with the genomes of living people — especially without establishing and following rigorous ethical guidelines. We simply don’t know enough about what these gene edits will mean for Lulu and Nana down the road.